Dogs That Changed the World - What caused the domestication of wolves? Biologist Raymond Coppinger, who has spent over 45 years working with and studying dogs, says that this story is nothing more than a romantic fairy tale. “I call it a ‘just so’ story. Nobody who has ever trained a wolf had any success if they started after 19 days,” says Coppinger, a professor of biology and animal behavior at Hampshire College in Massachusetts. 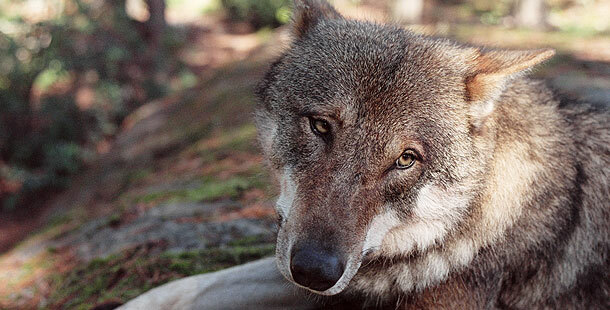 Biologist Raymond Coppinger Coppinger has another idea: the wolves domesticated themselves. He suspects that the process would have begun at the end of the last Ice-Age approximately 15,000 years ago when people began to gather and live in one place for the first time. The appearance of these villages was fairly rapid and coincidental with the fossil evidence of dogs as we know them.